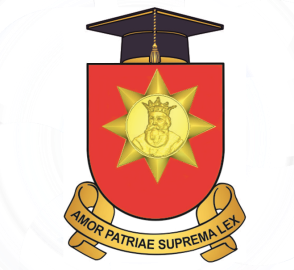 Military science faculty | Academia Militară "Alexandru cel Bun"
Military Sciences Faculty educate and trains specialists in accordance with full time and part time training programs, distance learning, individual studies as well as professional training programs. 3. Educate and train the faculty staff through various forms of postgraduate education (masters, doctoral, postdoctoral, etc.). 5. Provide education and training that will ensure students of the Armed Forces Military Academy with sense of leader and good commander. Military Art Department is a subdivision of Military Academy which provides training and education for main discipline in forming military specialists. developing language and IT skills in organizing and caring out disciplines. 2. Conducting major staff courses (battalion level). Effective use of weapons system and ammunition research. Year IV- the military equipment maintenance. research in the field of improving the military technology in the National Army. Currently the Department has classrooms and a laboratory for unfolding the process of study at the department’s disciplines. The Department also has 2 units of combat equipment and a unit of combat equipment cut as teaching material. At the same time the department signed the contract with the ” National Army specialists’ training Centre ” on training students for obtaining a driving license in “B” category, collaboration agreements with military units and civilian educational institutions on the use of material for training students in the field. Military Equipment Department cooperates with various military educational institutions abroad. Teachers of the department have attended various training courses and various tactical international applications. Artillery Department is training military students for artillery troops who possess theoretical knowledge and practical skills specific subunits of artillery in modern combat combined arms. developing and publishing educational materials, scientific, methodical teaching and learning process and information needed specific and artillery components. Training officers for the communications units and subunits, officers which possess theoretical knowledge and practical skills necessary for planning, organizing and providing communications in modern combined forces warfare, are able to apply skillfully theoretical principles and rules of battle, command subordinated subunit with confidence and firmly to act with initiative, independent thinking, know the basis for organizing and managing the platoon into battle and carry out meetings with the staff during training under combat, and in the process of organizing the struggle units. – Development of physical and mental capacity required for increased effort in order to meet both tasks alone, as well as a part of subunit. Catedra pregătire fizica şi sport a Academiei Militare „Alexandru cel Bun” este destinată instruirii şi pregătirii fizice a studenţilor militari. La catedră se studiază disciplina — Pregătirea fizică. Pregătirea fizică este o componentă fundamentală a procesului de instrucţie şi învăţămînt al Academiei Militare care valorifică sistematic ansamblul formelor de activitate colectivă sau individuală ce se desfăşoară în vederea formării, dezvoltării şi menţinerii capacităţii motrice solicitate pe timp de pace şi în situaţii de criză contribuind la îmbunătăţirea stării de sănătate fizică şi psihică a studenţilor Academiei Militare. În conformitate cu programa analitică a Academiei Militare în anii universitari, la toate genurile de arme sunt prevăzute ore de prelegeri şi ore practice la pregătirea fizică. Deprinderea studenţilor cu practicarea sistematică a exerciţiilor fizice.